Rob Kiser|Call Photo Anna Cianciolo handles the ball against Sidney Saturday night. 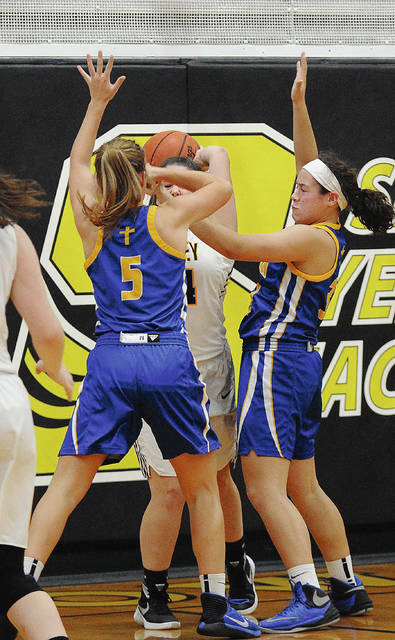 Rob Kiser|Call Photo Lehman Catholic’s Grace Monnin is pressured by Sidney’s Emma Wiford Saturday night. 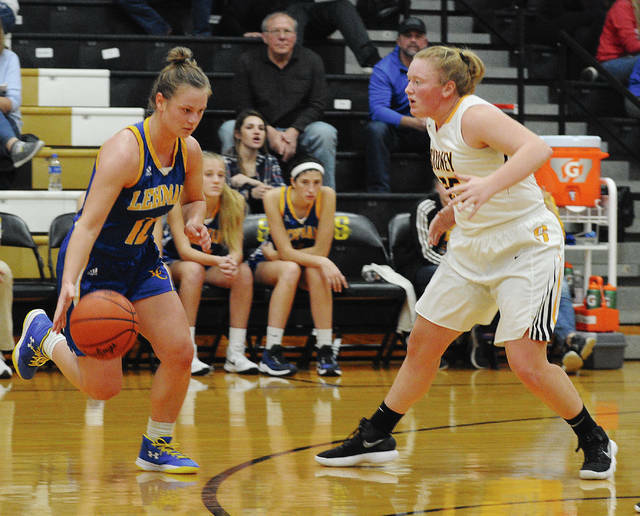 Rob Kiser|Call Photo Lehman Catholic’s Rylie McIver (5) and Lauren McFarland have Sidney’s Allie Herrick surrounded Saturday night. 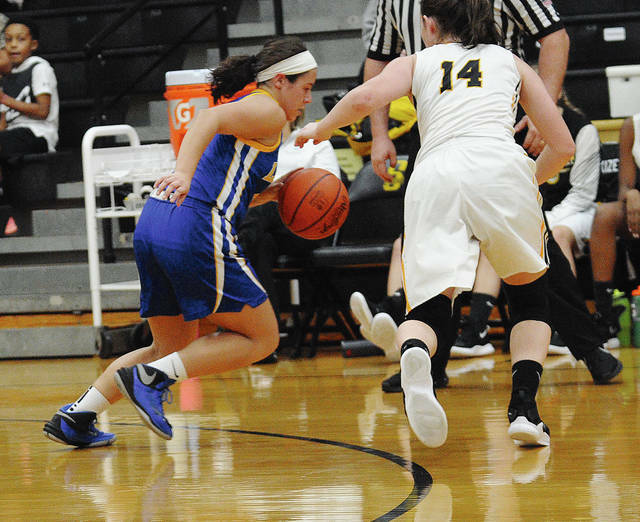 Rob Kiser|Call Photo Lehman Catholic’s Carly Edwards drives to the basket against Sidney’s Hallie Truesdale Saturday night. 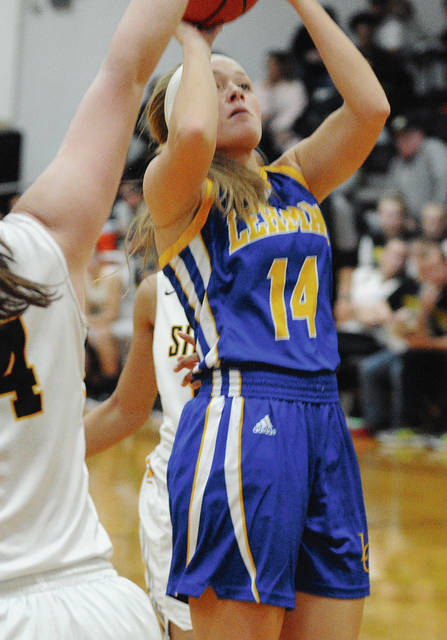 SIDNEY — It may have looked liked Lehman Catholic girls basketball teams first game of the season in the early going Saturday night at Sidney High School against cross-town rival Sidney. 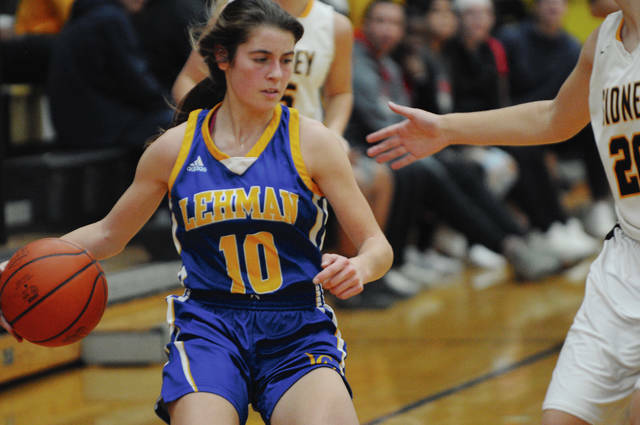 But, Lehman never trailed after a Hope Anthony basket in the early going for a 4-3 lead and pulled away for a 51-34 victory. Sidney, who had played Russia on Friday night, dropped to 0-2. If there were more miscues than usual early for the Cavaliers, it is because not only was it their first game, they haven’t spent a lot of time on the floor period. Hall felt like it being Sidney’s second game was not a big disadvantage. 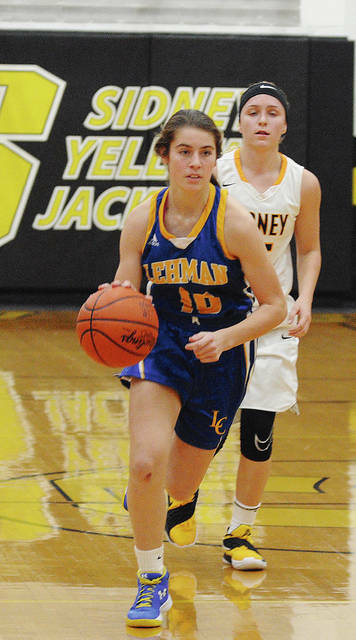 After field goals by Lauren McFarland and Hope Anthony helped Lehman take an 18-10 midway through the second quarter, Sidney closed within 21-16 at the break. Alina Kindle had half the Jackets first half points, including two threes in the opening quarter. 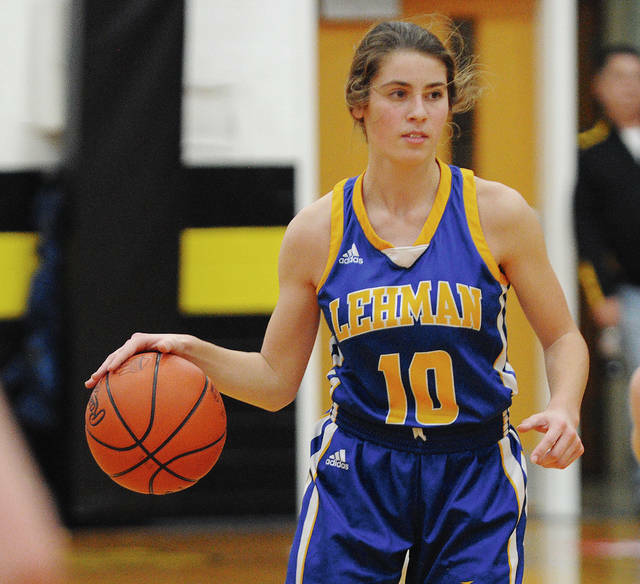 Lehman scored the first nine points of the second half to take a 30-16 lead. Grace Monnin hit two jumpers, McFarland hit four free throws and Anthony added one in the run. After that, the only real challenge for Lehman was avoiding fouls. The Cavaliers held Sidney without a field goal in the third quarter, but by the end of the quarter, Sidney was in the double bonus. 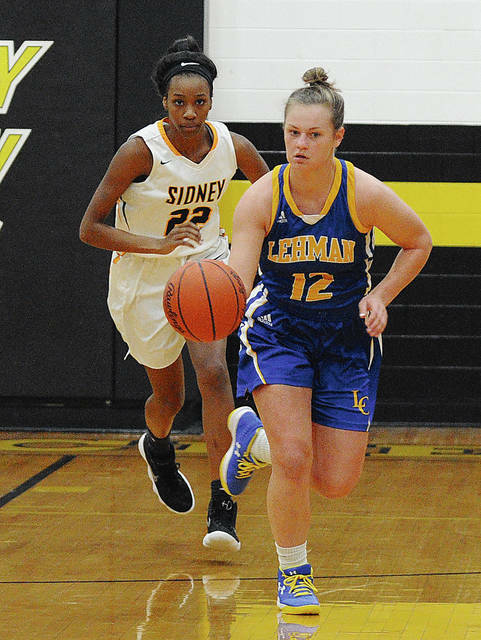 Sidney wasn’t able to take advantage as the Jackets only points in the quarter came on two free throws by Kindle and two free throws by Hallie Truesdale. 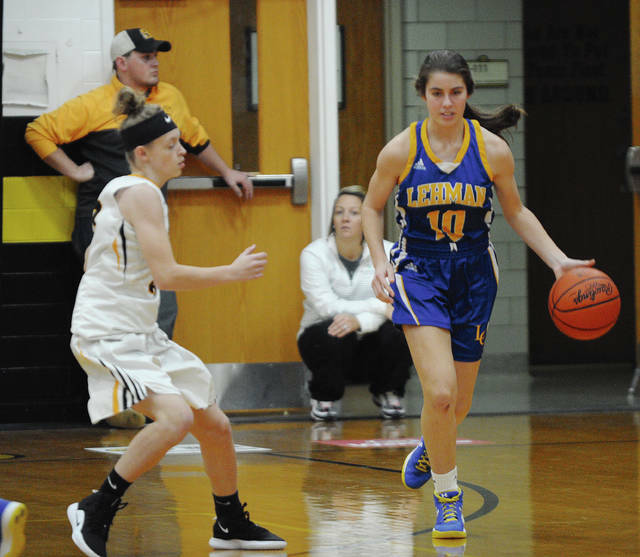 That left Lehman with a 32-20 advantage and Lehman would pull away in the fourth quarter. Hall also cited the play of sophomore Emma Kennedy off the bench. Sidney didn’t make a field goal until Kindle scored at the 6:50 mark of the fourth quarter. 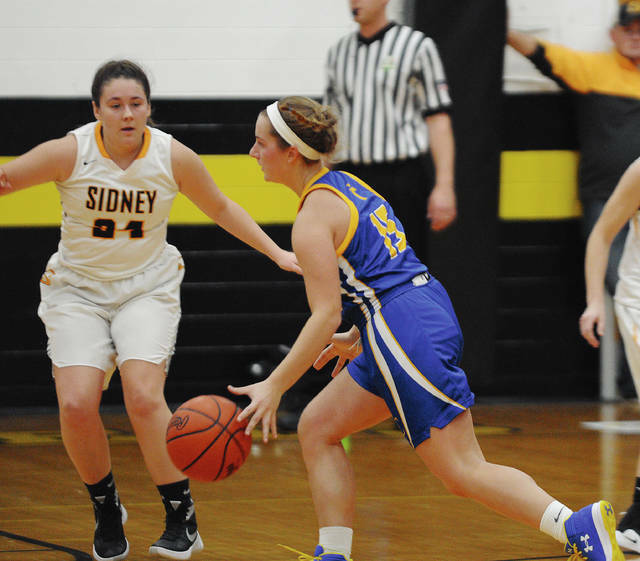 She had 13 of Sidney’s 18 points in the second half and finished with 21, while Truesdale added six. Monnin scored 10 points in the second half and led the Cavaliers balanced attack with 12 points. 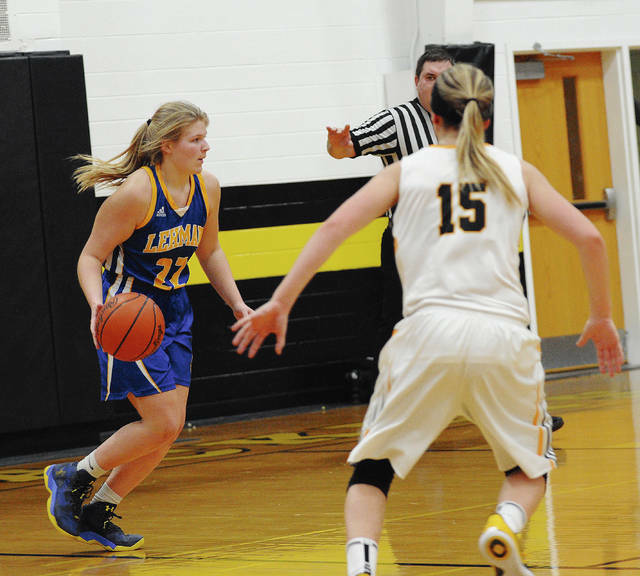 McFarland added 10, Edwards scored eight and Anthony and Anna Cianciolo both finished with six points. Rylee McIver suffered an arm injury in the fourth quarter and did not return. Which is an advantage the Cavaliers can use as they continue to get more practice time in before heading to Catholic Central Thursday. Rob Kiser is Second Page Sports Editor. 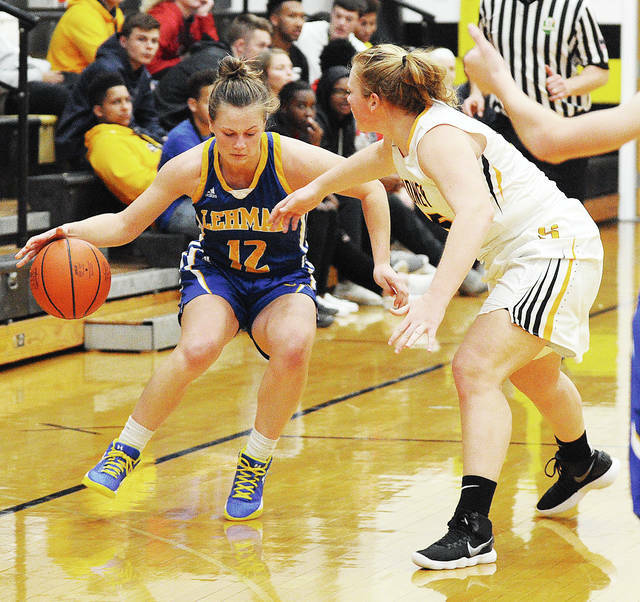 He can be reached at (937) 451-3334.
https://www.dailycall.com/wp-content/uploads/sites/30/2018/11/web1_anna3.jpgRob Kiser|Call Photo Anna Cianciolo handles the ball against Sidney Saturday night. 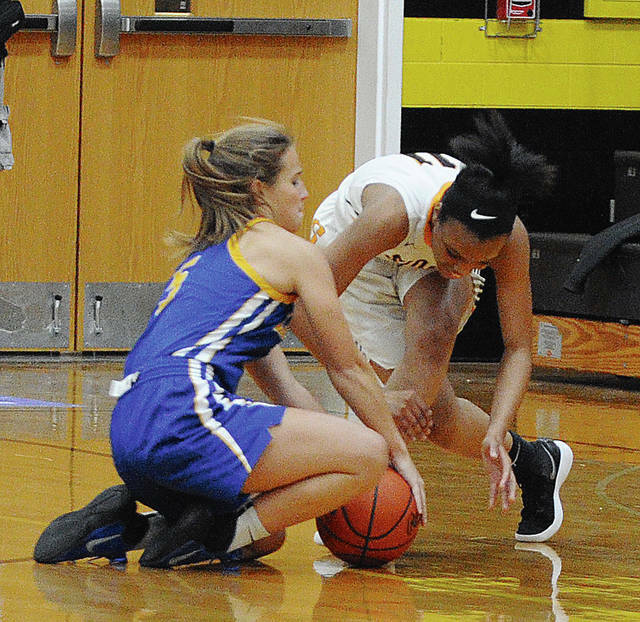 https://www.dailycall.com/wp-content/uploads/sites/30/2018/11/web1_gracemonnin3.jpgRob Kiser|Call Photo Lehman Catholic’s Grace Monnin is pressured by Sidney’s Emma Wiford Saturday night. 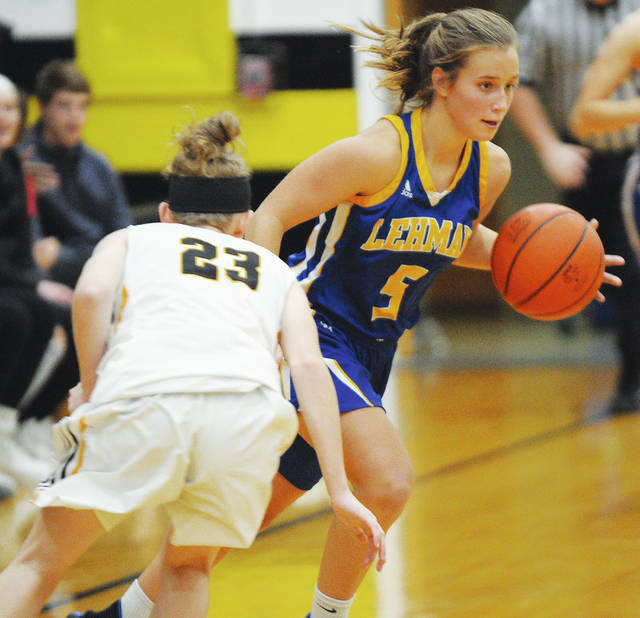 https://www.dailycall.com/wp-content/uploads/sites/30/2018/11/web1_lehmand.jpgRob Kiser|Call Photo Lehman Catholic’s Rylie McIver (5) and Lauren McFarland have Sidney’s Allie Herrick surrounded Saturday night. 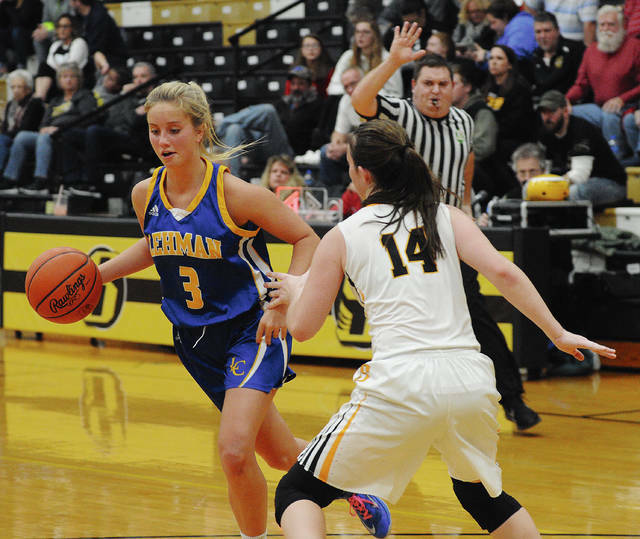 https://www.dailycall.com/wp-content/uploads/sites/30/2018/11/web1_carlyuse.jpgRob Kiser|Call Photo Lehman Catholic’s Carly Edwards drives to the basket against Sidney’s Hallie Truesdale Saturday night.